Item # 315829 Stash Points: 2,495 (?) This is the number of points you get in The Zumiez Stash for purchasing this item. Stash points are redeemable for exclusive rewards only available to Zumiez Stash members. To redeem your points check out the rewards catalog on thestash.zumiez.com. 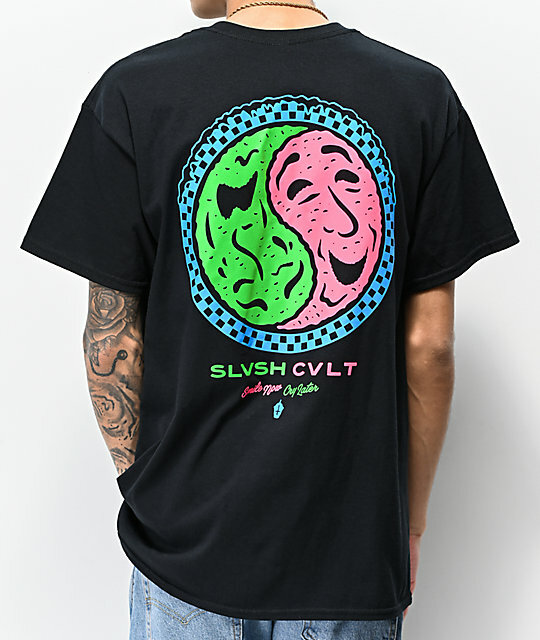 Get an original new look that boasts vibrant contrast in the Slushcult Smile Now Black T-Shirt. 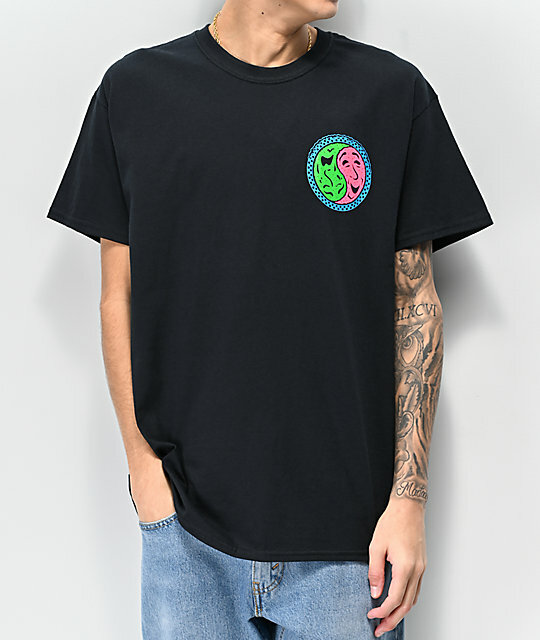 This t-shirt features a tagless construction for a comfortable fit and is highlighted by screen-printed Yin and Yang inspired face graphics at the left chest and back for an organically fresh look. Smile Now Black T-Shirt from Slushcult. 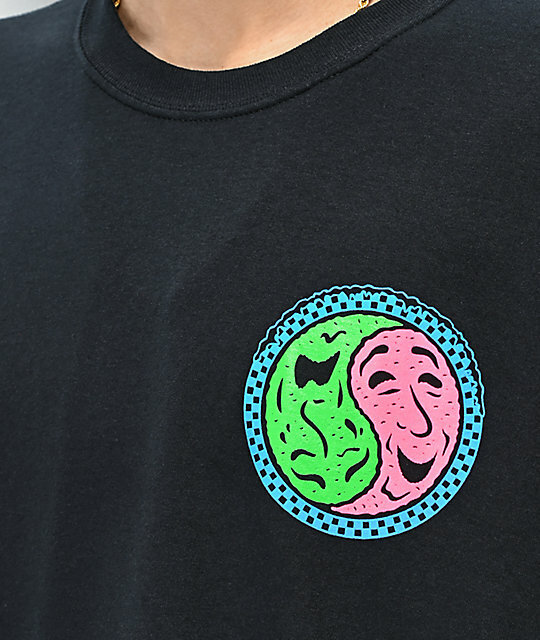 Yin and Yang face graphics screen-printed at the left chest and back in pink, green & blue. 30" (76 cm) from top shoulder seam to bottom hem.